Mohd Anuar bin Taib, Executive Vice President and CEO of Upstream at Petronas announced cancellation of the Pacific NorthWest LNG (PNW) project on July 25th. The RCMP was onsite at the Kispiox Hall this morning to supervise a protest against an LNG information session being held by the provincial government and the Gitxsan Development Corporation. Today’s presentation is one of two organized by the B.C. government and the GDC, a Gitxsan enterprise company, to be held today and tomorrow. Pre-construction clearing for the Prince Rupert Gas Transmission project is expected to start before the leaves start falling this autumn. 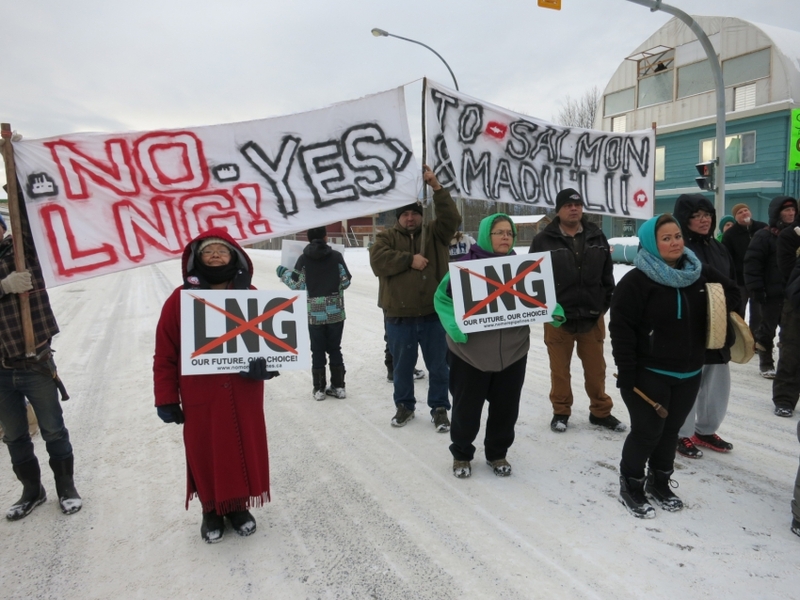 The LNG pipeline route travels just north of the Hazeltons on its way from northeast B.C. to Lelu Island near Prince Rupert.